Betsson Group (Betsson AB) is a Swedish group of companies which started its history in 1963 when today’s Betsson chairman’s father Pontus Lindvall created the firm. Since the middle of 90s the company had an aggressive politics in gambling world and got its current name after buying a small British sportsbook company Betsson.com. Betsson AB started online poker business less than 10 years ago. The poker room of the same name was created. Betsafe was bought in 2011, NordicBet – in 2012. Couple of years ago Baltic Triobet joined the list but later in 2017 they’ve decided to shut the poker room down and transfer all the players to Betsafe. First two poker rooms began in Ongame and later joined Microgaming network and even have been multi-rooms for some time before Ongame finally was done. As Betsson is a Swedish company, all the rooms which belong to it are mainly focused on the countries of Northern Europe and Scandinavia. All the poker rooms of Betsson Group as a part of the gambling holding are the sources if weak European players who mainly place bets, play casino and other games. Microgaming, in turn, works since 1994 and started operating as an online company. It came to online poker in 2004. It is one of the leading poker networks, which survived Unibet leaving in 2014 and losing third of the pool of players with it. During the latest years, it is some sort of way out for many poker rooms of dying and closing networks. The networks came ahead of IPoker on the number of skins and became the biggest European poker network. The main room of Betsson Poker and the whole Microgaming network is essentially Betsafe Poker. Betsson Poker is licensed in Malta. As we’ve mentioned before, Microgaming network is one of the leading networks in the world. The average number of connection is about 1,000 and it reaches 5,000 players during peak hours. It is aimed mainly for European players, the main currency is euro and peak hours are the ones in the evenings of this part or the world, especially on weekends. Microgaming has the biggest traffic in 6-max Holdem tables even in comparison with other rooms and networks, they dominate here. There are more than 30 tables at all lowest stakes in the evenings. These are NL2, NL4 and NL10. NL20-NL50 have up to 20 tables at all stakes during peak hours. The higher stakes have much less tables. One is usually able to count the number of tables at NL on fingers of both hands, while NL200-400 have no more than 5-7 tables per stakes limit. The highest stakes up to NL1K have very episodic action, usually on weekends. Part of cash tables is anonymous, the total share of them isn’t constant but there are usually no more than third of them to the total number of players. Omaha is usually played at stakes up to PLO50 (5 tables at each stakes limit), the game at higher limits is not regular. PLO10 and lower have up to 20 tables at each stakes limit while PLO20 usually has 10 tables. Fast poker (Blaze) has action only at NL2 – more than 100 connections while NL10-20 have traffic only during certain promotions. SnG in Microgaming, as well as in other poker rooms is a depressive discipline. This situation becomes even worse with lottery tournaments, which take away many amateurs. Microgaming is a Fish Party with progressive jackpot – 5 stakes limits of 1 to 50 euros. Networks recently tries to revive SnGs by improving its structure, optimizing the set of games and unifying buy-ins. Only Betsson Group rooms have monthly promos for SnG players with three group of buy-ins which is very similar with PokerStars’ Ballet of Planets. Its prize fund is €10,000. Microgaming has a not very well developed tournament schedule with comparison with other European networks. It has been changed big way in 2016. It is now filled with rebuy tournaments with buy-ins of 1-10 euros and small guaranteed prize funds of up to several thousand euros. The main tournaments are: daily - Cashanova € 1.5k GTD and Megabyte €2.5k GTD for €33, two Avalon €2kGTD tournaments for €55, GigaByte €7.5k for € 110; Thursday - Thunderstuck Thursday €10k GTD for €215; Sunday - Sunday Drive €7.5k GTD for €110 and Sunday Showdown €25k GTD for €215; monthly - Masters € 60kGTD for €320. The number of players is usually around 50 to 100 people. The network has its own series of poker tournaments called MPN Poker Tour, which takes place several times a year. It has satellites and steps with different buy-ins where Main Event packages are played. There is also online series with loud name of Universal Championship of Poker and it always has leaderboard. Microgaming network poker client was developed relatively recently but there are no key fails in it. There are less filters than in IPoker, but there are waiting lists. One isn’t able to see nicknames of the players seating at the tables in the lobby. Anonymous tables are highlighted with the letter A. The client has a feature of 3 kinds of tables: standard, mini and fun ones. Fun tables are the newest and have 16-9 aspect ratio for a comfortable play on mobile devices. Each kind of tables has its own settings. Bet sizing can be adjusted, there are auto rebuy and time back as well. The network has lots of different kinds of layouts for the poker rooms of Microgaming network. 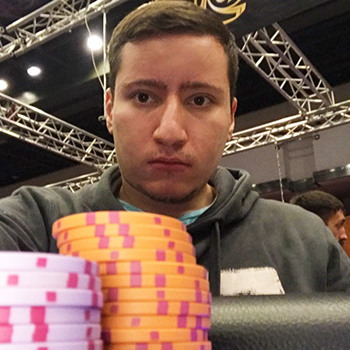 The most popular among the free ones is the layout of Belarusian player Prolix. For a deeper customization of the client, there is MPN Tools software, which allows making lots of changes. Holdem Manager and PokerTracker work in Microgaming network directly. One should also consider that any player is able to change the nickname once per month or after playing 1,000 rake hands – that is 2-3 times a week should the player spend a lots of time at the tables. The networks takes rake according to their own system True Value Rake (TVR) – this is some undefined scheme of rake distribution which takes into consideration the type of invited players by affiliate (they pay more for amateurs than for the pros). The system automatically finds out whether the players is a regular or amateur based on the history of each player during the latest months of play. It is uses to find out the final amount paid to the affiliates. They use classic weight-contributed system for the players. Rake at all the stakes is 5% and has one of the lowest caps in the industry. Tournament rake in most cases is 10% of the buy-in (special-tournaments and tournaments with buy-in of €200+ have lower taks). Microgaming started to take rake from rebuys and add-ons in some tournaments since January 2017. This system will probably expand to all rebuy tournaments in the future. SnG rake is 5 to 10% depending on the buy-in and the structure – the faster and the more expensive SnGs have lower rake. DoN tournaments have the rake of 15% so this type of the tournaments is almost dead here now. Rake in Fish Party is 5.85% - one of the lowest rakes among those tournaments. VIP-systems of these rooms suppose the maximal rakeback percentage of 30% if you generate €300 of rake or more. This gives you a maximal level in this VIP system and the best points exchange rate. First deposit bonus in rooms of Betsson Group gives rakeback of 25%. If you play in the room from PokerProDeals, you will immediately get maximal status, first deposit bonus and additional benefit from us. Contact our affiliate manager to get details. How to register in Betsson Poker?